Sure, imitation is a sign of flattery as people once said (and my old teacher once said ‘to learn by copying’). but right now everyone seems to just want to join in the gold rush of something viral. Especially when you consider some clones being able to eclipse their original counterparts. With the low cost of developing apps and games nowadays, anyone with basic knowledge of programming( and a few wikis, YouTube tutorials, and forum help) can create just about anything they want, even things that are already available. Sure, the idea of flinging something to smash things doesn’t originally come from Angry Birds (a flash game by Armour Games did it first, but that game also took inspirations form other titles before it). Candy Crush Saga takes a different spin from the original Bejeweled (which also did not invent the match-3 paradigm, contrary to popular belief). Now the company is worth billions after they are publicly traded due to the value of the user base of Candy Crush alone. Ridiculous Fishing, a web game about to go mobile, was beaten by clones to the Apple App Store, causing grief to the small team of indie devs form the Netherlands. Up next, Threes!, a popular game but its clones have become more popular than the original (such as 2048). The devs had to post parts of their email discussion during the game development (which took 14 months) so people can appreciate their handwork and maybe pay them for their app instead of opting the free clones that took days to copy them. And these are the examples of the mainstream gaming media caught. 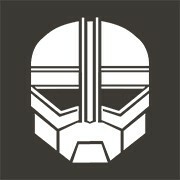 There are bounds more clones everywhere anywhere. Not saying that clones are pure evil. Some of these guys are just trying a hand at game development, so trying to get a stable version of a game they are fond/admire of would be a great place to start. Some are just coincidental ideas coming from different people. (Remember when there were two games about psychic powers released closely? Or the time when two games released closely about being someone with superpowers in an open-world city?) The presence of clones, or games with similar ideas, in some way, helps the industry moving forward by increasing the competition. But is this enough to justify such actions? Laws just create hassles for the industry without being able to solve them. Take the trademark issue from king.com for the word ‘candy’ and ‘saga’, which received backlash from the gaming community, although the intents and purposes are justified as they want to block clones from copying them. But the trademark will affect other games using the particular words and in no way copying candy crush (e.g. The Banner Saga), to be in legal trouble as well, which is not fair. What I can think of right now is that it all comes down to the ethics. Yes, this is hard to enforce, but a clear understanding to not ripoff a game immediately (cannibalizing sales), but to ripoff after a certain period of window (when sales are dwindling), should be considered. Let that grace period finishes before a clone is released as a sign of respect. However, if people announce their games early on, clones may beat them to it, just like Ridiculous Fishing.Not the perfect solution, yes, but if there’s anyone familiar with the industry and believe there is a solution or an idea of a solution, by all means, please share your thoughts. [In retrospect, this kinds of practice is still murky- when it’s okay to copy an idea, add a few things to make it interesting? If more games follow some basic mechanics, then we’ll have a genre. Then, when is not okay to the said idea? One point I can raise is when you are producing a free game, with ideas form a paid one. It’s flawed, but think of it from this perspective: If Threes and 2048 are both free, would it affect the reception of both games? Would 2048 able to grow a larger audience. Granted, in my opinion being free is really made 2048 to be mainstream, sadly. Not many people in other countries can pay for the game- not because it’s expensive, it’s about RM7 in Malaysia: a typical dinner at the local diners would get you about RM5. It’s just not may have access to credit or debit cars, and those who have may not bother paying for apps because, yes, piracy is a thing. In support of the Threes team, I figured out how to use debit cards with Google Wallet and made Threes my first online purchase. It was cheap, and I still play it from time to time. They deserve it. As a Malaysian, if I were to be asked on what’s interesting about my own country would be the bustling city of Kuala Lumpur with its pretty skyscrapers, and.. the historical city of Malacca, where the remnants of colonialism for the West is well preserved as a tourist trap attraction nowadays. 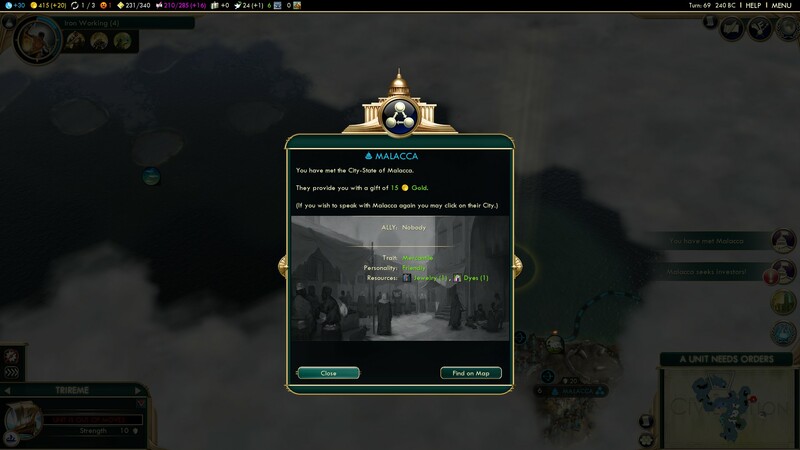 So, it’s interesting to see that some parts of Malaysia made cameos in Civilization V, a strategy, or more accurately a 4X (Explore, Expand, Exploit, Exterminate) game using elements of world history. In the game, you can be any of the huge selection of historical civilizations, and try your best to build the civilization that can stand the test of time. There are also City-States, small, unplayable civilizations that do not compete with you, but may help or hinder progress, and two of them are Kuala Lumpur, and.. Malacca. With the introduction of a new civ, Portugal in the last expansion: Brave New World, now you can create the signature trademark of Malacca, the A Famosa (pictured in the header) in your very own Civ V game!